We had been out of the hospital three months when I first heard the words gut flora. Little did I know that was the secret ingredient to getting our little girl to optimum health. Gut flora is the intestinal flora, or the microorganisms that aid in everything from digestion to mood disorders. It is often known as the forgotten organ. The interesting thing I discovered in my research of gut flora is that over 80% of a person’s immunity stems from their gut flora(good bacteria). My water broke eight weeks early, causing me to be put on precautionary antibiotics, while antibiotics can be very life saving, the other side of them aren’t often disclosed. Antibiotics kill every bacteria in the body, including the good bacteria that fights illness. This meant that when I gave birth to her, I wouldn’t be able to pass on my good bacteria to her. We had to build her bacteria from the ground up. If you’re preemie is struggling with digestion, sickness, eczema or any other allergy keep reading! Here are my three quick tips to restoring your preemie’s gut flora and finding the missing link to health! As always please consult your health care provider before adding or taking away anything from your child’s health plan. While I understand the struggles of breastfeeding in the NICU, any amount of breastmilk that you give your preemie will help restore their gut flora. Breastfeeding helps a baby grow good bacteria, thus preventing illness and preventing allergies down the road. Breastfeeding also allows your body to produce antibodies specifically for your baby, that will protect him/her from getting sick. Rethink Solids: Avocado for the win! A preemie’s digestive system is quite fragile, so beginning solids should be a careful and mindful practice that is full of fun for you and your preemie. Rice cereal, bread and many child snacks can be really harmful to a preemie’s tummy as their bodies work extra hard to digest foods. A great way to start is using real foods that aren’t processed:avocados, egg yolk and bananas are a great place to start. 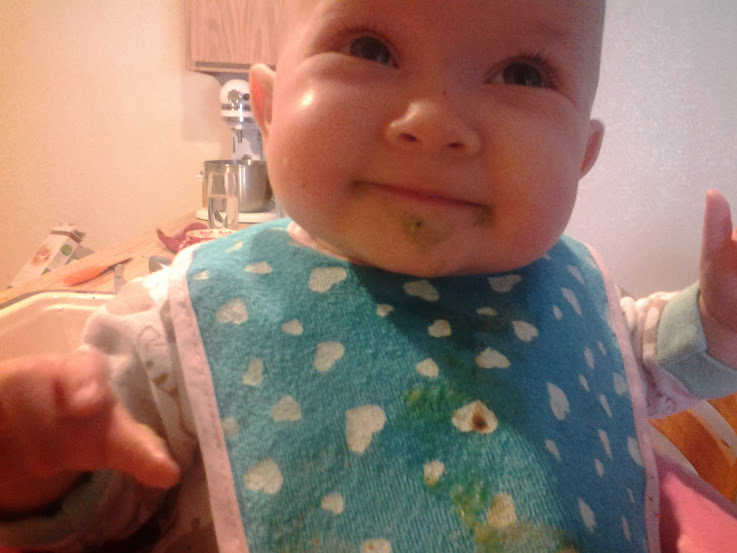 It is so fun to watch your baby get messy and explore new healthy foods! One of the best ways that we healed my daughters gut was through the use of a high quality probiotic, fermenting vegetables and making water kefir. The microbes in these foods are safe to digest and help grow good bacteria in your little one’s tummy. Our daughter benefits greatly from the use of good bacteria, her digestion is great, her mood is better and her immunity is up! As with anything please consult your health care provider before beginning any new regimen for your little one.Let him/her know that you are interested in healing your child’s gut flora to prevent and reduce any symptoms of allergies, immunity, digestion that you may be seeing. Great article. Thank you. Do you have any experience giving your child Kombucha? We spoke with our dietician about it last week and are going to try it out! Jessie, I really enjoyed your article. I would like your written permission to include your story in our upcoming newsletter. Thank you for your consideration. Hi Terry! You are more than welcome to link to the story (with or without an excerpt) in your newsletter. We just ask that you please not reprint in full. Thank you!